My wife and I are fortunate to live in a moderate climate and we were able to get by without using air conditioning until this week. I think it’s great that we can wait until mid-June before we need to turn on the AC! Before that, we only had to open our windows to cool our house. We are still able to turn off the AC at night and open the windows to cool our house, which is nice and saves us money. Hopefully, we will be able to do that all year, but last summer we had a few nights that were too warm to do that. Open windows when possible. Up until a couple of days ago, my wife and I were able to open our windows to cool our house during the day. It’s a little too warm for that now, but we can still open the windows at night. There will be some nights when it will be too warm to do this, but hopefully, there won’t be too many. Use a programmable thermostat. 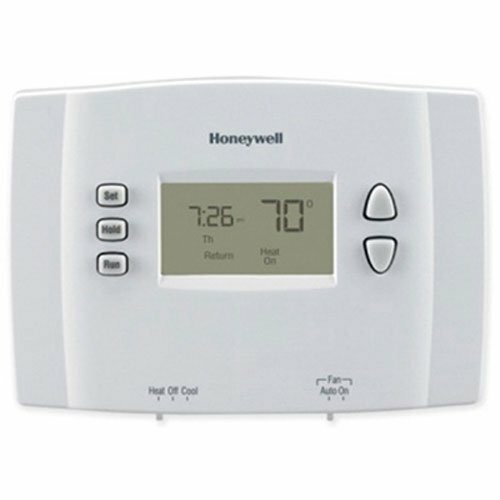 A programmable thermostat can help you save at least 10-20% on your energy bill year round. We use a programmable thermostat at home. In the summer we set it at 78 degrees while we are home, and 85 when we leave the house. We set the thermostat to cool the house about 30 minutes before we get home. It works well and saves us a lot of money. Of course, the same concept works in the winter as well and can help you save money on your heating bill. A programmable thermostat should more than pay for itself. Here is a very affordable option from Amazon. A Smart Thermostat may save you more money. A smart thermostat is a step up from a programmable thermostat. They have algorithms that learn your preferences and can even determine if you are home or not, and can automatically adjust your thermostat settings accordingly. And, since they can be controlled from a smartphone, Amazon Alexa, Google Home, or a wi-fi connection, you can always adjust your thermostat if you are away from home. This is a great way to save energy if you will be away from home longer than anticipated, or if you forget to set change your settings before leaving for vacation. Use an air vent booster. I installed an air vent booster several years ago and it works wonderfully. You install it over an air vent and it works by pulling more air into the room. This is great for problem rooms that have low air flow. It can save you money because you don’t have to run the air conditioning or heating system as long to get that particular room as cool or warm as you want. The model I have is the AirFlow Breeze, which costs about $50. I use it year round in a room above our garage that has low airflow and also fights the warm of cold air coming up from the garage. (We have received a lot of questions about this, so I wrote more on the air vent booster at the end of this article). Make sure your vents are clean and uncovered. Dust and dirt can reduce your airflow causing your AC system to work overtime and severely reduce the airflow to your room. Covering them with furniture, drapes, or carpeting will have the same effect. Make sure the air flows freely and you will save a lot of energy and money. Use ceiling fans and portable fans. Run ceiling fans so they push the air down toward the floor. This circulates the air in your house and will help cool your house more efficiently than running the air conditioner by itself. In the winter, run your fans in the opposite direction to more efficiently circulate the warm air throughout your house. Portable fans will also improve airflow in rooms that don’t get as cool. Use attic vents. Your roof can contribute up to 30% of your house’s heat during the summer, so it is a good idea to have fans in place to ventilate the attic. Install a whole house fan if appropriate for your climate. A whole house fan can change over the air in your house in a matter of minutes by pulling in the cooler air from the outside and expelling warmer air outside. We live in an area where they are fairly common, although our house doesn’t have one. I am considering installing one because it will save us a lot of money in the long run – and help us sleep more comfortably at night. Change filters regularly. You want to change the filter in your furnace approximately once a month with heavy use, or when it is dirty. Hold the filter up to the light and if there is little light passing through, you know it is time to change the filter. This will save you money by increasing airflow and allowing your AC unit to run less often and more efficiently. Service your AC unit annually. Regular maintenance will keep your AC unit running efficiently and help avoid costly repairs, or possibly give you advance notice that something is wrong – allowing you to fix the problem before it becomes a major issue. Buy an efficient AC unit. When you’re shopping for a new central air conditioning system, pay attention to the SEER number (seasonal energy efficiency ratio). You want a SEER number of 13 or better, or 14 or better in warmer climates. If your current unit is an 8 or lower, consider upgrading. You will probably recuperate your expense in a couple years by drastically reducing your electricity bills. Close shades or curtains. Close curtains on south and west facing windows during the day to decrease the solar heat in your house. To let in more light, open the shades that are not facing the sun. If you need to use lights in the daytime, use cfl’s because they are more efficient and produce less heat than incandescent bulbs. Seal windows, doors, and gaps. Sealing your house prevents leaks and keeps your house more energy efficient. Use caulk or weather stripping, which is available for just a few dollars at any home improvement or hardware store. Also make sure your fireplace damper and dryer vents are tightly closed. Install good insulation. Insulation will prevent your home from losing cool air in the summer and warm air in the winter and increase the efficiency of your cooling and heating systems. Add insulation around air conditioning ducts when they are located in non-air conditioned spaces like as attics, crawl spaces and garages, and make sure there are no leaks in the duct joints. Don’t forget to install basement insulation, which is often overlooked and will help stabilize basement temperatures year round. Turn off unused lights and appliances. Lights and electronics create a lot of heat. When not in use turn off your lights and any unused electronics and appliances such as your television, radio, computer, kitchen appliances, etc. Use heat producing appliances sparingly, or at night. Avoid using your oven in the day, and try to use an outdoor grill, microwave, or crockpot instead of the stove. Let your dishes in your dishwasher air dry instead of using heat to dry them, and use your clothes dryer at night. What is it? An air vent booster is a powered fan that fits in your vent register and helps pull additional conditioned air from the ducts into your room. The model I have is the AirFlow Breeze, which is produced by AirFlow Technology. Does it work? Yes, it does. But, don’t confuse it with a heater or an air conditioner. All it is designed to do is provide a “boost” to the amount of air coming through the ducts into the room it is installed in. The air comes from your ducts and will help make that room a similar temperature to the rest of your house. They are great if you have a problem room like mine! Does the extra draw on the air source affect the rest of the house? Not that I noticed. The only thing I noticed was that our computer/guest room is more comfortable to be in and we enjoy our room more now. Does it constantly run? No. It has a built in thermostat that switches the fan on when either the heater or AC comes on. It is very easy to set – just follow the directions in the manual. Does it save money? Yes. If you have a room that just does not get hot or cold unless you crank up the heat or AC for the rest of the house, or use a space heater or fan, this could save you a substantial amount of money over the course of a year because you will use less energy to condition your room. The fan uses a 12 volt DC power adapter, which costs pennies to run. Is it hard to install? No! It only took about 15 minutes, including the time to remove the old vent cover with a screwdriver (not a drill). You don’t need any special tools other than the screwdriver. There is a 12-volt power adapter with a 6-foot cord that plugs into the unit. Is it loud? Let me put it this way: you can hear it in the other room, but it isn’t loud enough to bother me when I am in the room and it is running. I think it is one of those things that might take some people some time to get used to, but once you get used to it, you don’t really notice it anymore. Taxes – Which is Better: Large Refund, or Owe the IRS? I would definitely be interested in something like that in the condo I rent out. Though I’m curious where does it draw it’s power? Do i need to wire it? Hi Dong, great question. There is a 12 volt power adapter with a 6 foot cord that plugs into the unit. Great post Ryan! I looked at getting a couple of those for two of my problem rooms but my vent registers are in the ceiling and would not look too good with a cord hanging down. I also think it said something about them being for floor or wall registers only, I think. Same comment as Dong and SGM – it’s an awesome idea but the room I need it for has a vent in the ceiling so I need a battery-powered version. Unfortunate because I got really excited at first thinking about this concept… argh! So close! Those are some great suggestions. We live in Florida and it seems the A/C runs all year long (except for the few weeks we need the heat). Some things we could definitely do are to get a more efficient A/C unit, get a solar powered attic fan, and fill in some of the window and door gaps. What about seeing how warm you can stand it? Different figures are out there, but we all know that cooling a house is very inefficient – and the less energy we use to keep it cool, the better. This may be too radical for most, but consider installing skylights which you can open. Heat rises, so an open skylight will allow a lot of that hot air to vent out. Great collection of tips, we have had to use our A/C for about 2 months now, so taking a lot of little measures to increase efficiency or decrease loss of cool air such as sealing & insulating definitely help. May have to check out the air vent booster, I had not heard of that. Thanks! We live in an equatorial climate so the temp extremes are nothing like what you go through. We do have hot days though. I have not heard about the whole house fan. Must do some research on it. Looks like it’ll be useful. A solar powered attic fan should be a very efficient way to reduce the heat in your attic, which in turn will make it much easier to cool your house. Sealing gaps is another great way! I get uncomfortable when it is above 78 degrees in my home, unless I have a fan blowing directly on me. But others may be more tolerable for higher temps. I think that is a good idea if you are in a climate that supports it. Skylights may be more expensive than some other options though. The air vent booster is actually very nice to have. We have a room situated above our garage that gets very warm or hot depending on the season. The airflow to that room isn’t very strong either, so adding a little pull helps out a lot! The whole house fans are nice – they circulate air throughout the house by pulling in outside air through the windows and expelling it through the attic. They help out by circulating air, removing hot air from rooms and the attic and replacing it with cooler air. I know several people who are able to use whole house fans for a couple months out of the year instead of using air conditioning. It varies by climate though. It also may differ in very humid climates. Here in the South, we’ve had to run our AC in January before. The heat and humidity are Unreal sometimes. Your tip about extra insulation is spot on. Additionally, if you’re building a home, make sure the builders use an insulation board AND house wrap. It makes a huge difference. Also, install the roof decking panels that are foil faced. They can reduce the heat in an attic by 50 degrees in my experience. The first Christmas I spent in Houston I went outside in shorts! LOL. I understand living in the south. Great tips for insulation! We live in the extreme heat, today was 113 in the shade. It’s a dry heat, but it’s HOT!Our house is all electric. We are on a special before 9AM-after9PM electric rate. We have an energy efficient AC unit. We’ve also installed a timer on our hot water tank to save $. We have shades on windows, a programmable thermostat set to 82– a little warm, but it works with ceiling fans on in the rooms we are in. We have a whole house fan on a thermostat too. We have flor. light bulbs to keep the heat down. Skylights are not great here unless they are the tubes or low e– the sun comes in & cooks you– we had a big 1 at our old house & it added heat in the house.We have good insulation & trees for shade. The bad thing is we have rock landscaping, but we don’t mow or use much water! The booster vent fan sounds interesting. Wow, it sounds like you are doing the best you can for your situation! The rock landscaping is probably the only thing that hurts as far as heat goes, because rocks retain heat. But, as you said, it is a lot less upkeep and probably costs less than having a lawn! Great list. When we built our house last year, we decided to save money by skipping air conditioning. We decided to stick with a portable air conditioner from our previous house. It does a great job of cooling our bedroom and attached office on hot days, uses less electricity than a central system, and it saved us the cost of a central system and the interest we would have lost by having a bigger mortgage. what did your bill cost before you had all this other stuff. Because that seems like a lot more stuff and I am wondering if now that you have put in all this stuff it costs more now or what? I can’t exactly how much I have save, but I pay about $70 month for electricity and a friend in a comparable size house who runs his AC night and day pays over $200. Some of the things you can do cost little or no money – opening windows, using shades, running ceiling fans, changing filters, having clean and unobstructed vents, using appliances at night and turning them off when unused, sealing cracks in doors (sealant costs about $5). 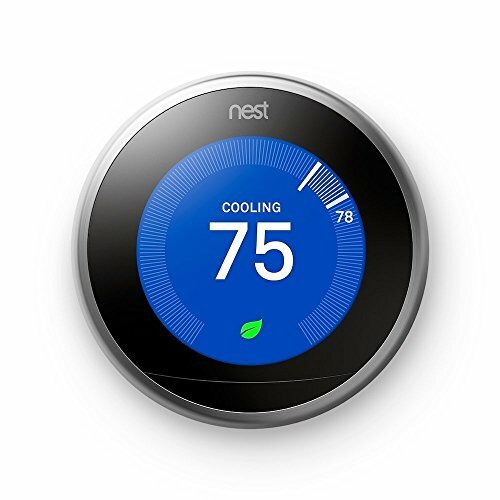 Programmable thermostats cost around $40 and can pay for themselves within one or two years. These can work to your advantage also by planting flowers and plants that are drought tolerant. You can locate these by doing a search online, going to the library and your local bookstore. You may find it to be really nice to look at and to me, plants just seem to give off a coolness and they help absorb some of the heat that rocks put off. Succulents – cactus types are very good and low to no maintenance to have that multiply if you buy the right ones. You can figure this out by going to your local plant store or nursery and see what they have. Usually they have what is able to grow in your area (otherwise their business would not last very long if all they sold to anyone died due to not being right for their part of the country, hence, the reason for zones listings when you buy). Another good source for learning about different types of plants is to sign up for some of the plant and or seed catalogs and read; full of good info for learning. You get familiar with plants for each zone, how tall they grow, how tolerant, fast and or slow they grow. You get to see what they look like in full bloom for their color, size and shape and most of all if it pleases yur eye. Tall(er) plants are usually reserved for the backdrop or as the center highlight to an arrangement in a front and center stage – look at me focal point (great for distracting from and area or element that is not so appealing and needs attention drawn away from it) flower bed or side landscape that makes excellent flowering fences for privacy on the warmer days. Plants, tree’s, shrub’s and flowers all help to lower the temperature around your home and can therefore also help to lower cooling bills and tree’s block wind when cold to help with heating bills (be sure they are deciduous – leaves fall off in fall and renew each spring so you do not lose winter sun heat). Pay attention to where and how you plant and you can create you own little eco-climate right in your own yard that can differ degree’s in temperature than your neighbor right next door! You do have to put in the time and effort of planting (can be done a little at a time to see how it goes) with more watering at the start till they take off and this is best done in the fall so that they get a good chance to set up roots and not have to fight the sun/heat/growth all at the same time. If there is room between the rocks (not knowing if you live where there is ledge, bolders or small rocks interspersed) this can be very pretty and add much to visual appeal of your yard. I have seen many with rocks in the front border of the yard and the flowers of all kinds made it a beautiful landscape! Another way to stay cool for less, when the sun goes down open all windows and use fans to pull in the cool/cold night air. In the morning before it starts to heat up close all windows and shades and curtains, keep the fans going so it pushes the air around which helps to keep it cool or cooler as the day goes on. It can start to warm up at the end of the day when the sun is at its hottest, but we do this and do not use an ac anymore, saving $40.00 to $60.00 a month on electric. By the end of the day it does start to get stuffy and when it does that is kind of your cue to check to see if the air outside is now cooler than inside and if it is open the windows and repeat the above. One other thing that helps immensely is a dehumidifier when doing the above. The only downfall is that the dehumidifier at a point throws a lot of heat, upside it is dry heat so you are more comfortable (less to no sweating depending on each individual) and can at least move without being totally soaked. If you do the window cooling at night and then turn on the dehumidifier when you know it is going to be wretched humid and hot (said to cost pennies a day to run, I have yet to get my first bill running mine, so will see) to take the humidity out of the air and then run your AC it is supposed to take less money to run the AC as the dehumidifier takes the humidity out of the air which your AC would have to do then it cools. The water that fips from you AC is the dehumidifier part working. That is what I have read as to the AC having to run harder and longer due to the humidity in the air and by running the dehumidifier you are supposed to be able to lower the temp of you AC which in turn, also, helps to lower the bills. If you get a dehumidifier with a timer/setting for how long to run based on the level of acceptable humidity you want in your living space then you can make it more efficient that way also while it runs or in additon to running the AC. Everyone’s situation is different, so it is worth a try in my opinion if it saves money and gives comfort, especially if you are definitley going to run your AC anyway. Maybe someone you know has a dehumidifier that you could borrow or find one at a yard sale/fle market for cheap. I got mine at a discount store and ended up paying $139.00 after tax. A good deal as it is digital read-out, self times when set to, shows the humidity you start with and what it takes out. It is advisable to do a search to learn what is the best one for your area. They have different sizes and some do different things based on manufacturer and type. The other advantage to a dehumidifier is that it is not good for any home to have over 50% humidity, or good for your health I am told. It is healthier to have drier air if you have asthma and my pulmonologist told me that running the air conditioner is good for cleaning the air of pollutants as well as making you more comfortable. Sorry these are not just short snippets, needs more room to explain than a snippet. Just some suggestions and ideas that may be of help in making you feel a bit better during what seems like our sun/earth getting hotter and hotter each year! Good Luck with staying cool in summer and warm in winter! I have the other kind that sits on top of a floor vent. They won’t work at all for a ceiling vent. We bought them for our old apartment. We bought a house with the vents in the ceiling so these wouldn’t help. We decided to keep them in my wife’s office. This morning I decided to search for this type of device. Wow! This was easier to find than the other one when I looked for it. I too have a problem with how far it is to a plug, but I thought of a solution. Measure how far it has to go from the vent to a plug. Take it to an electrician and have them install a wire in the fan that is up to code and long enough to reach. No extension cords and you then know that the fan is safe(er). Wiring a cord is definitely the safer and more visually appealing way to install the fans. They also make fans that go inside the vents, but they cost more than the type of fan I have. I have an 8 by 8 opening, are there any sizes that would come close to matching. and also helps clean he air. i had a huge tree east side at two houses lived in, saved big time in northeastern us. simple and it works.